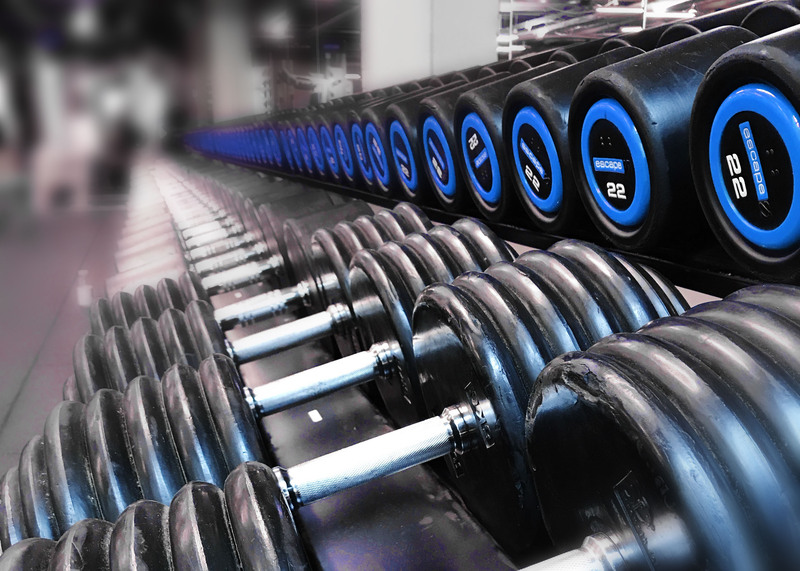 Dumbbells are one of the smartest and most versatile pieces of equipment you’ll find in the gym. In fact, with a rack of dumbbells and an adjustable bench, you have everything you need for a full body workout. Like any free weights, the advantage of dumbbells over resistance machines is that they force you to work harder to stabilize the weight, which means you are hitting lots of smaller synergist muscles as well as the big prime movers. But if you’re new to free weights, take it easy at first with light weights to let yourself get used to the moves. For all exercises, there are twelve reps in each set. Pick a weight that challenges you but still allows you to complete all twelve sets with good form.